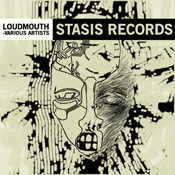 We have a brand new track, entitled ‘Oeace‘, on the forthcoming Loudmouth EP, on Stasis Records. Available soon in all major digital shops. Also featuring tracks from Fran Hartnett, Rory St John and Nomina. We’ve been away from the studio and away from writing as a duo for some time now. Bar a brief appearance at DEAF 2009 we’ve been all but silent in the last two and a half years. After the release of our album in ‘Ruido’ in 2007 we both took some time out to do other things (study and travel). But we’ve been back in the studio the past few months working on loops, sounds and ideas, slowly finding our feet again. There’s four new tunes to stream on our music page. The first of many. Lakker are back in business.